ST. GEORGE – Three men and a woman were arrested Monday after allegedly stealing items valued at more than $2,500 from their hotel room and then attempting to complete a fraudulent transaction at a department store. Monday, officers responded to a fraud in progress at C-A-L Ranch, located at 2849 E. 850 North in St. George, St. George Police Officer Wyatt Miles said in his probable cause statements supporting the arrests. It was reported that a fraudulent transaction for more than $900 had occurred at the store on Feb. 13, and the four suspects believed to have completed the fraudulent transaction were back inside the store attempting to return items for cash, Miles said in the statement. 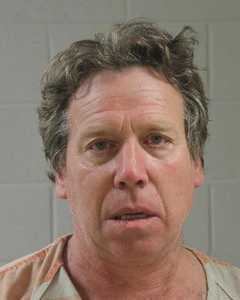 Officers were also called to a theft at The Inn at Entrada, located at 2588 W. Sinagua Trail in St. George, Miles said, where it was reported that a woman and three men had rented a room and then stolen several items valued at more than $2,500, including a bed frame and other housewares. Just before officers arrived at C-A-L Ranch, the suspects reportedly left in two separate vehicles – a silver Nissan Altima and a black Ford F-150 with boxes in the back and Colorado license plates, Miles said in the statement. Nevertheless, within five minutes of the call, officers located both vehicles in the parking lot of Harts Gas and Food, located at 260 S. Green Springs Drive in Washington. Officers made contact with the woman, identified as Jessica Rae Hoagland, 26, and three men occupying the vehicles, identified as Martin Ray Hoagland, 57, Wryn Deland King, 28, and James T. Quick, 48, all of Las Vegas, Nevada. Jessica Hoagland was identified as the individual who was attempting to return items to C-A-L Ranch, Miles said in the statement. Additionally, a bed frame could be seen in the bed of the Ford F-150 truck. Based on this information, a search warrant was drafted and approved for both of the vehicles. During the search, several items with the “Inn at Entrada” logo were found in both of the vehicles, the statement said. A representative from Entrada responded and identified all of the stolen items, confirming the total value was in excess of $2,500. 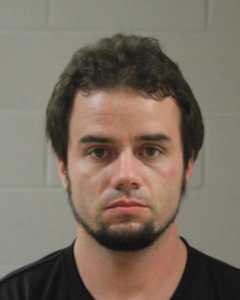 A glass pipe was also recovered from one of the vehicles, which a presumptive test indicated positive for methamphetamine, Miles said in the statement. Furthermore, investigators located five identification cards from various states, each with a photo of Jessica Hoagland but listing different aliases. Both vehicles were rented to an Arnold Zelig, which was later found to be a false name used by Martin Hoagland, the statement said. The four were arrested and booked into the Washington County Purgatory Correctional Facility on Monday. Judge John J. Walton, of the 5th District Court, ordered a $20,000 cash-only bail for each of their releases pending trial. 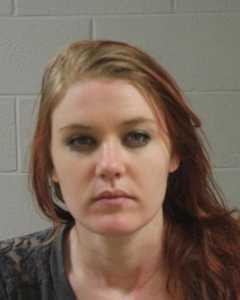 Jessica Hoagland was charged with seven third-degree felonies for possession of a forgery device, theft between $1,500-5,000 or two priors, and drug possession; she was also charged with one class B misdemeanor for drug paraphernalia. 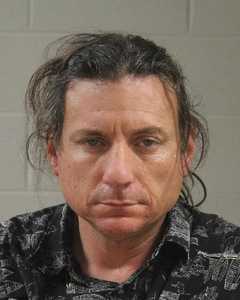 Martin Hoagland was charged with three third-degree felonies for possession of a forgery device, theft between $1,500-5,000 or two priors, and drug possession; he was also charged with one class B misdemeanor for drug paraphernalia. King was charged with three third-degree felonies for possession of a forgery device, theft under $500, and drug possession; one class B misdemeanor for drug paraphernalia; and one class C misdemeanor for giving false information to a police officer. Quick was charged with three third-degree felonies for possession of a forgery device, theft under $500, and drug possession; and one class B misdemeanor for drug paraphernalia. Is that Feb 13th date correct ? That is a rather long time to have a transaction date for an out of state group . More surprising is that they could get Entrada to give them a room . I thought Entrada had standards . Was a new kid on check in that night ? I’ve heard stealing towels can be common… but an entire bed?! ?